In a way, you gotta feel kind of bad for Rhys Mitchell. In a way. Charged with drive over .08 in early 2009 , he’s now seen his case go through every level of Manitoba’s courts. The provincial court convicted him. The Court of Queen’s Bench acquitted. Now, after many months of deliberations, the Court of Appeal has ruled to re-instate his conviction, setting up a potential Supreme Court battle. His case is one that affects all Manitoba motorists stopped by police who then enter into an impaired driving investigation. Mitchell’s case focused on whether the RCMP officer who appeared at his window after pulling him over on Roblin Boulevard early one January morning had grounds to form a “reasonable suspicion” Mitchell may be impaired may have alcohol in his body (see below) and request he blow into a roadside testing/screening device [not a breathalyzer, but an ASD]. The overall tension this case presents is clear: On one hand, police can’t, — if they’re to uphold the Charter — just randomly stop and ‘search’ drivers with their ASD test demands. On the other, they can’t enforce the law and try to keep streets safer if the legal requirements to test people at the roadside are just too onerous. Both those courts also found his Charter rights against unreasonable search and seizure had been breached, but only the QB found the remedy for the breach should be to toss the ASD result. In the end, Monnin comes to the — in my view — common sense conclusion that it’s the overall circumstances of the stop and totality of the officer’s observations which leads to getting past the “reasonable suspicion” hurdle — that Mitchell’s rights weren’t breached. I am not prepared to go as far as saying that a simple admission of alcohol consumption by a driver is, in and of itself, sufficient to provide reasonable grounds on which to base an ASD demand, as each case must be considered on its own facts. 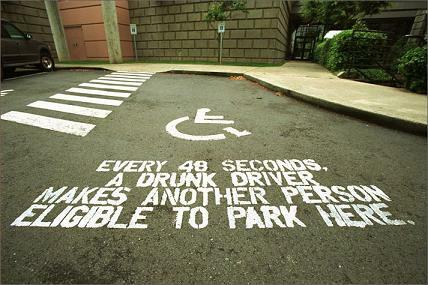 From a common sense perspective, however, it would be rare, if ever, that there would be an admission of alcohol consumption with nothing else – i.e., evidence as to why the vehicle was stopped, when (especially the time of the day and of the year) and where it was stopped, what was the driver’s condition, how did he or she react to the police, what were the driver’s exact words and how were they spoken, etc. These are all important factors to take into account. It is important to remember that it is the totality of the circumstances known to the officer,viewed together, that must be considered in determining whether there was a reasonable basis for his or her suspicion. In this case, the trial judge might have found the manner in which the officer conducted his investigation to be wanting, but the facts remain that the accused was driving at night, on a busy thoroughfare, without lights, that there was an odour of alcohol emanating from the car and the accused, inanswer to a legitimate question in the circumstances, acknowledged that hehad consumed alcohol. I find the accused’s answer in this case to be similar to that under consideration by Marceau J. in Kimmel and I find his comments, to which I have previously referred, applicable in this case. Both the trial judge and the appeal judge erred by focussing on the words of the accused’s admission without considering them in the context of all of the evidence known to the officer. In so doing, each misapplied the applicable legal principles, thereby committing an error of law. In my view, after considering all of the evidence known to the officer, he had reasonable grounds to make the ASD demand when he did. It was an error in law by the trial judge to find otherwise. Just by way of clarification James, the officer did not reasonable suspicion the driver was impaired, as you state, but rather reasonable suspicion the driver had alcohol in his body….and in the murky world of impaired driving detection, the splitting of that hair is entirely necessary…. Thanks sincerely for the clarification.